We are budding entrepreneurs from People's Republic of China. Over the years, we have been following with great interest the progress in the development of the Steem. More importantly, we have come to the realization of the unique role of Steem in all blockchain projects. Admittedly, the coverage of its application scope is more than half of the existing internet applications. This can be considered as one of the strengths of Steem across the globe. However, it is rather unfortunate that the situation is quite different in China. The voice of Steem is too low in China. We strongly believe that EOS can develop rapidly, but the power of the Chinese community cannot be ignored. This can be attested in several ways. From the statistics, we queried the node data of EOS, and discovered that 7 out of 21 super nodes (especially, the top three) are from China. So, we want to associate ourselves to Steem to turn things around in China. The key question is: is it possible to develop the Steem Chinese community to a wider extent? So that more Chinese can join in? The answer is yes, we can do it. For the past few months, we started the journey to build Steem Chinese community (www.cnstm.org). We then applied WordPress and Steempress to connect Chinese users to Steem. The mission of Chinese Community Steem (cnstm) is to promote the development of the Steem blockchain protocol, innovation of decentralized applications (Dapps) and construction of Steem's related ecology in the cn area. During this period, we engaged a group of Chinese-language partners to write on cnstm. Also, the service (cnstm) public account got the agent of 31091SP of 57 agents in cn area. So far, we are fascinated by the power of community. This has pushed us to do more. 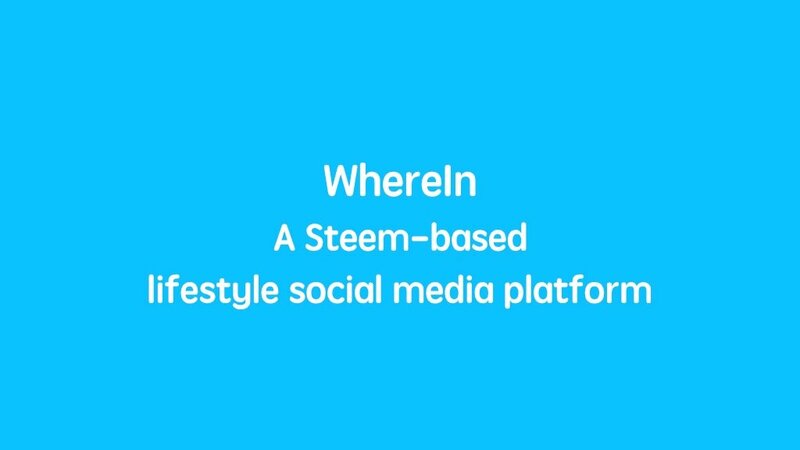 Based on the Steem blockchain protocol, we have developed a social media payment platform that demonstrates lifestyle——WhereIn (www.wherein.io). 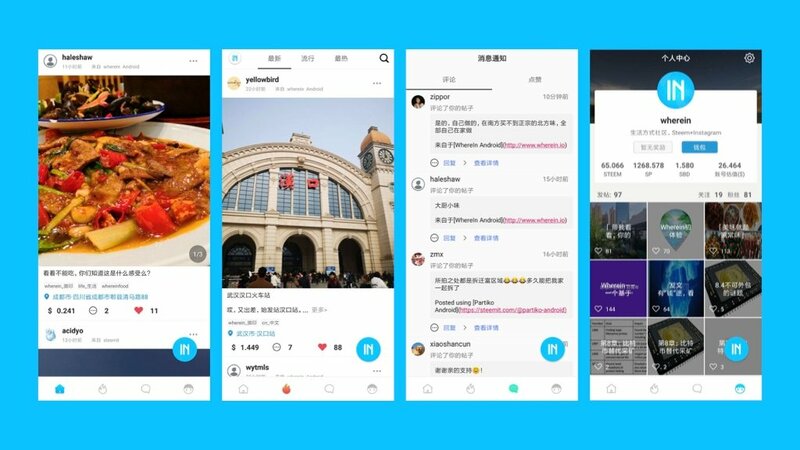 At the initial stage, we used WhereIn to explore the application of Instagram in the blockchain direction, and also integrate people’s social life with business payments more effectively. Now, the concept has been officially launched, and achieved some milestones, there is still more work to be done. The sky is our limit. 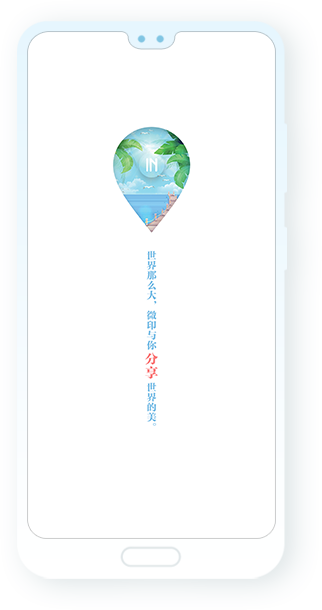 This allows people to express their feelings about the real world more quickly and also record the beautiful moments in their life. As we continue to learn more about Steem, we are increasingly convinced that Steem is more like a blog. With our personal experience, especially with China’s super internet platform (WeChat), which has nearly 1 billion users across the country. However, the WeChat public blog, and WeChat public account possess less than 3.5 million active accounts. The most intriguing aspect is that millions of users use WeChat friends circle (light blog). Obviously, in the WeChat ecosystem, users of light blogs are 100 times more than blogs. We hope that every user entering Steem will have an opportunity to send Instagram, take pictures, record the beautiful moment of life, and express the feelings of the real world in simple and refined words. 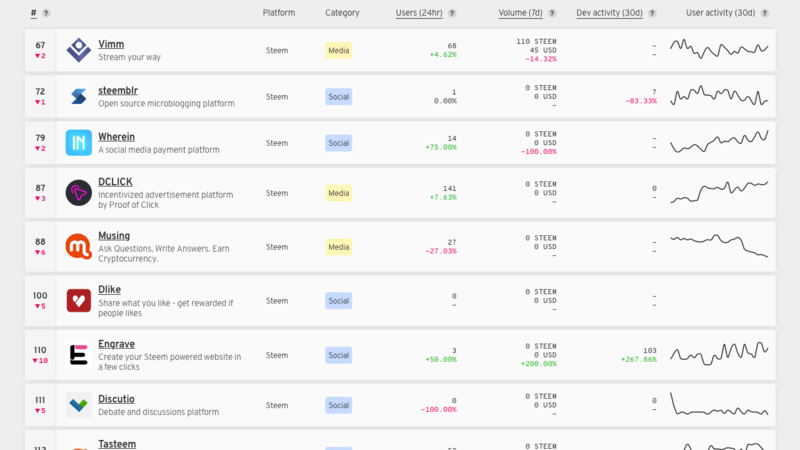 We are quite aware that at the initial stage, Steem was compared to Facebook, Twitter and Reddit. These platforms allow users to post feelings as simple as possible. Simultaneously, Instagram has increasingly enjoyed popularity, especially among the youth across the globe. But we promise to compete favorably in the intense competitive market. With Wherein in mind, Steem will be easier for users to take photo, write sentence, among others. This allows people or users to share you locations with friends and keep a record of all the places you go. For instance, in the Instagram platform, 30-40% of users have geographical location in content, 35.4% of photos have geo-location maps, and 30.9% of videos have geo-location tags. Conversely, foursquare is popular around the world. Indeed, geo-tags make our world real. Google also occupies vast majority of online searches, but it still cannot search for offline data that accounts for up to 92% of all data. It is geographically located from the start, except that it lets users remember every place that they have been to, and also lets them meet up with friends offline. Find a good place, mark it. Or see who is hanging around, find a coffee shop to talk to. Go to the city, sign up, call friends to meet. The Internet has made each other closer to the Internet, but it has opened up the distance between each other. WhereIn allows us to return to reality again. This allows the integration of the once-distributed online community and offline commercial entities to create a new offline business ecosystem. The Internet allows information to flow at a high speed, making users feel like living in a global village. However, the existing social media and offline business entities are still fragmented. Blockchain has been identified as an antidote to make it possible to collaborate more efficiently. Frankly, the Internet has brought social media to commercial entities, and physical products have a window of display, but with the expanding of internet, the existing Internet has become a traffic business, and traffic acquisition is becoming more cumbersome. To address this phenomenon, a blockchain known as “True Machine” has emerged to make it possible for communities to collaborate more efficiently. In the past, the online community was built on hobbies and interests. It was maintained with the heart of charity. However, the system was affected by commercial operations. Simultaneously, the offline business entities are having a fair share of suffering from the increasing cost of people. In this new era, we believe that Steem will allow the offline business community to become more closely integrated into the online fan community. Combined with Steem Power's unique agency and praise mechanism. We strongly believe that community sponsors will get members’ agents to raise funding for community development, as well as encouraging community development through praise and community tokens. In this way, the online community can form a self-contained system. At the same time, the offline commercial entities can also develop their own products or space communities to tokenize products or spaces. Under the ecology of Steem, we intend to bring the two together through the connection of Token. Now that the community has created a social media tool for sharing lifestyles, the next step is to further develop community operations tools including group, discussion groups, community Token systems, support for STEEM, and payment tools for community Tokens. This will help to build a better community and its easier for collaboration. This allows users to have Internet experience, and also enjoy the benefits of blockchain. Blockchain is like a whirlwind sweeping the globe, but after the vents have passed, there is not much left. We have seriously reflected on this and found that the blockchain is still popular among a small group of people, just like a technical geek is playing his toys. The many characteristics of the blockchain and the regulatory layers of local governments have increased the threshold for users to enter the blockchain sector, especially Steem and EOS. It is noteworthy that regulators have put in measures to avoid spam attacks, by increasing the cost of creating accounts. 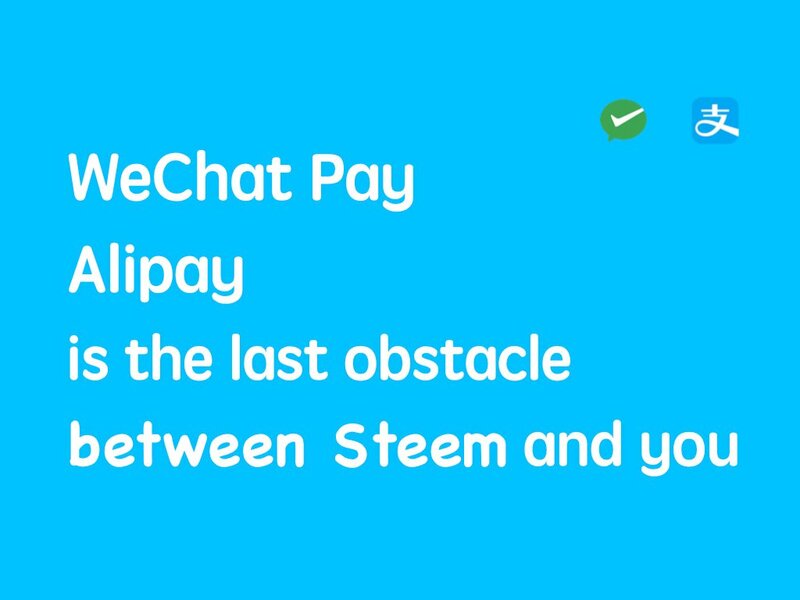 We are looking forward to support the purchase invitation code to have a Steem account, which users can use to pay for their regular WeChat payment, Alipay or PayPal. These will be integrated into the software of WhereIn. In the follow-up, we will promote merchants in some parts of China to support Steem. Users can complete the entire purchase process by simply scanning the QR code of the merchant. Our goal is to make it easier for users to come in, leave Steem to use, and even pay Steem in their daily lives. This can make the community become more harmonious and integration becomes closer. At present, our team comprises 8 skilled developers and 3 supporting staffs. A strong team are the foundation of a successful business. Everyone is unique and will be able to offer their own experiences and knowledge that others may not possess. Indeed, all members of the team have a role in up lifting the image of Steem to a different level. We hope that as time goes on, more hands will be engaged to enter Steem. We strongly believe that 99.99% of Steemians are out there waiting patiently to line up. Although, we have received a seed financing from a local investment institution. It is not enough for a complete take off, more funds or community support are needed. We need more hands-on desks to promote Steem in China and beyond. Join us, let spread Steem further, please give us the agent (@wherein). For the wherein agent, we will give 10 times upvote power, and we will also give the excess WhereIn SMT reward to you. Let's come to WhereIn with Steemians!